The Land Cruiser, introduced in 1958, was one of the first models sold by Toyota Motor Sales, USA, Inc. It was first tested in 1951, climbing the sixth station of Mt. 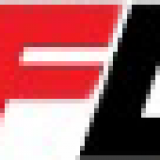 Fuji – the first motor vehicle to accomplish this drive. The Toyota 2000GT appeared as a prototype at the 1965 Tokyo Motor Show and was introduced as a production model in 1967. Toyota hired British model/actress Twiggy to stand alongside the car on stage at the 14th Tokyo Motor Show in October 1967. Twiggy went on to own #10130, and the car appeared in the British TV sitcom Ugliest Girl in Town. The 2000GT also appeared in the 1967 James Bond movie You Only Live Twice. Bond actor Daniel Craig named the 2000GT as his favorite Bond car. The first "sporty" car in Toyota's linuep to be sold in America. The 1982 Toyota Celica Supra was the flagship of the Celica family. A black 1984 Toyota SR5 was featured in the movie Back to the Future. The Toyota Supra made the duPont Registry's "Top 100 Cars of the Century" in 1999. The Ultimate Celica was engineered by Toyota, Rod Millen Motorsports, and Toyota Racing Developement. Three concept versions of the Lexus LFA were created, the first making its global debut at the 2009 Tokyo Motor Show. Production began in December 2010 with a starting price of $375,000. Production ended in December 2012 with 500 vehicles produced. The Lexus 2054 is a concept car designed for the 2002 Steven Spielberg film Minority Report. Built and raced by Dan Gurney's All-American Racers, the Toyota Eagle MKIII was arguably the greatest car ever seen in IMSA competition. Debuting in July 1991, the car won 21 of the 27 races it entered, including the 24 Hours of Daytona and a pair of Sebring 12-Hour victories. In two full seasons of competition, it carried Juan Manuel Fangio II to the 1992 and 1993 GTP Driver's Championships, and Toyota to the 1992 and 1993 IMSA GTP manufacturer's titles. The Celica ST served as pace car for the Toyota Grand Prix of Long Beach from 1975 until 2004 when it was replaced by the 2004 Solara. Next to the Celica pace car is the A40 Celica driven by pro racer Dan Gurney in the Toyota Pro/Celebrity Race. 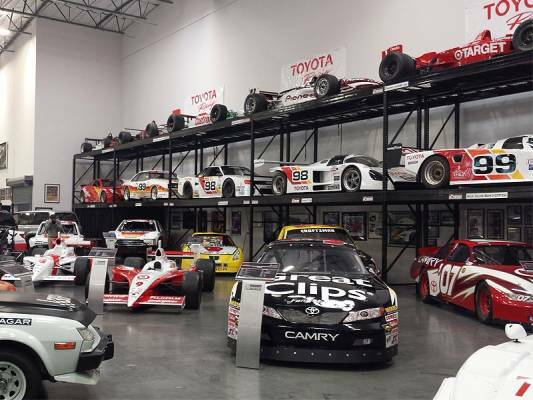 This list is just a small portion of all the cool cars in the Toyota Museum! Make sure you get over to Torrance and check it out!